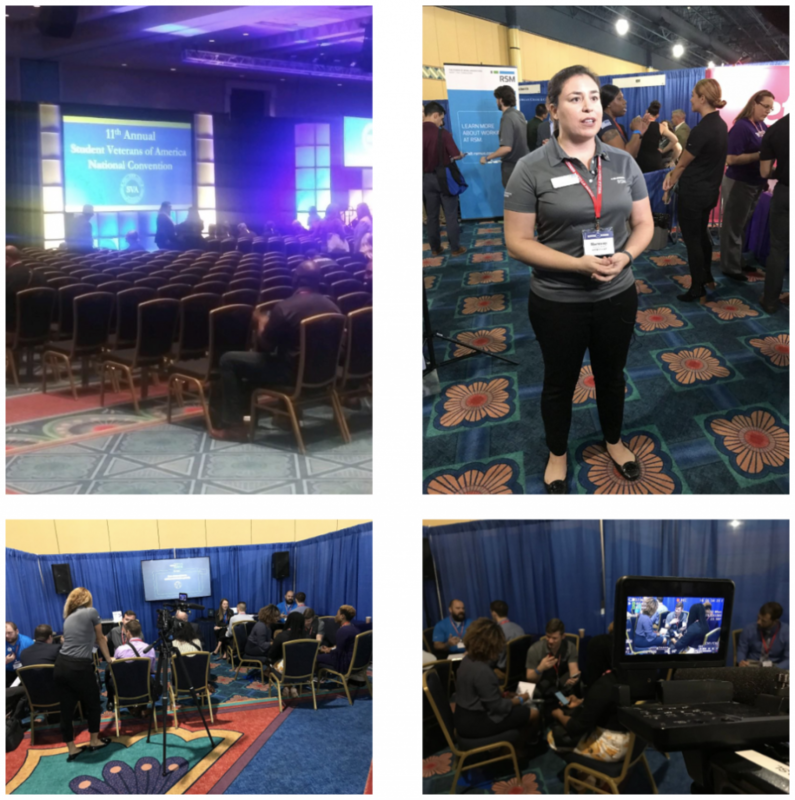 The start to our year has been busy but, as always, our dedication to our video content partners is not just a resolution. Lets get right to some highlights from our last month. 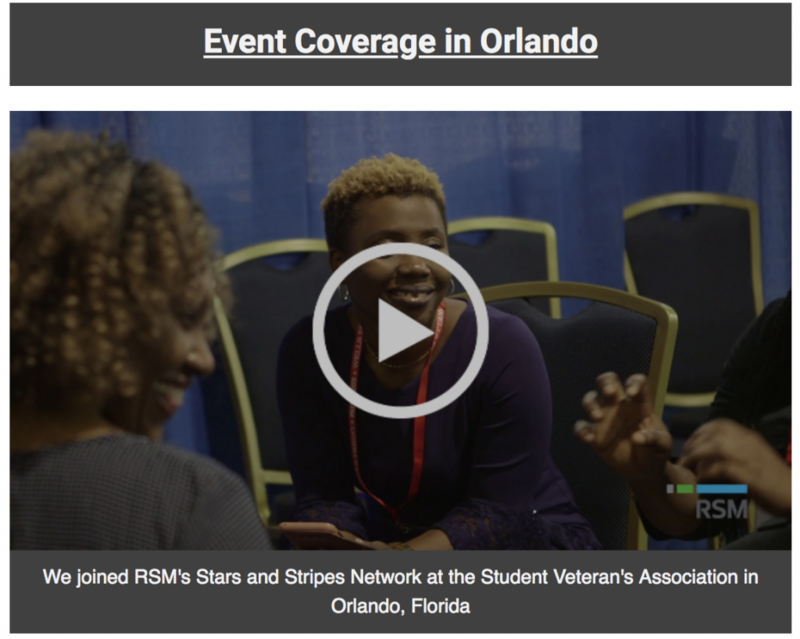 In January we journeyed to Orlando to document RSM’s involvement at the Student Veteran’s Association. The RSM CDI Group, Stars and Stripes, met with student veterans to network and participate in a resume workshop. It’s a special feeling participating in an event that is giving back to help people who have served our country. Check out our sizzle recap video by clicking the play button above. Barstool Sports kept us very busy helping to produce their video content centered around the Super Bowl. 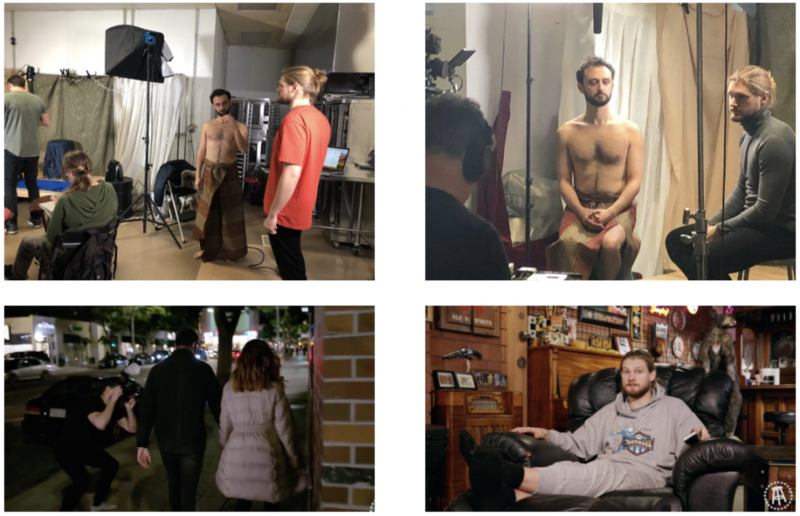 We had crews in Los Angeles and Atlanta helping film three “fantasy” Super Bowl commercials for Barstool personality, Caleb Pressley. We also helped design and build their on-location sets for Barstool Rundown and branded content for Fan Duel. In January, we assisted a UK content partner, Courage Media, in filming a direct to camera video for a financial software company. We provided the studio, crew, teleprompter and actors for this shoot. Take a look at some bts pics above. Take a look at some bts pics and one of their commercials above. Finally, we ventured to Washington DC to film a video for our content partner, Cvent. Recently Cvent acquired a hospitality software company, Social Tables, and we produced a video to introduce the two companies. Social Tables wanted to show off their quirky sense of humor by parodying The Office and Between Two Ferns. We created very accurate parody videos as evidence by the photos above! Tune in next month when we will have more Barstool updates, a final look at our Hunter Roberts Construction Safety video and a lot more!